Sold at Momofuku Bakery & Milk Bar in Manhattan, this pie has taken New York City by storm – out-of-town demand is so high that the bakery ships the pie by FedEx. Why not try making this for that special woman in your life this Mother’s Day? 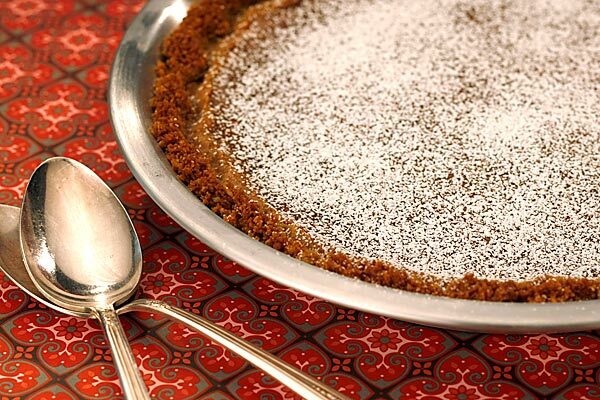 Crack Pie is a twist on Chess Pie — an old-school dessert found in the “Joy of Cooking,” popular because it can be made with common pantry ingredients such as butter, eggs, sugar and vanilla. The crust is rustic and unrefined — don’t bother trying to get a perfect edge as you press it into the pie plate. It isn’t going to happen. The pie is baked at 350 degrees for 15 minutes, and then 325 degrees for about 10 minutes, just until the top is golden brown. The interior will jiggle when you remove it from the oven. You will fear that the pie is undercooked. But you must have faith. 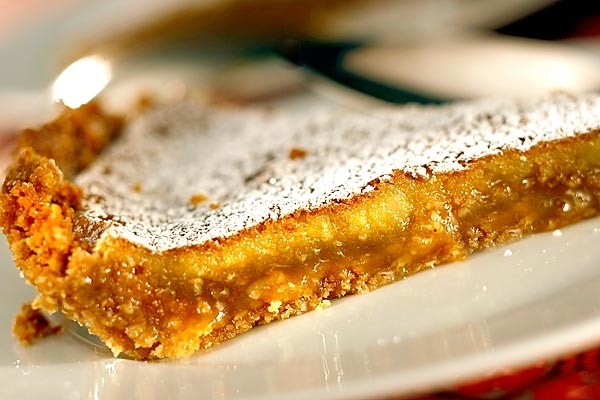 It’s not an understatement to say that this pie defies description. It’s ooey-gooey. Buttery and rich. Silky. Pillowy. 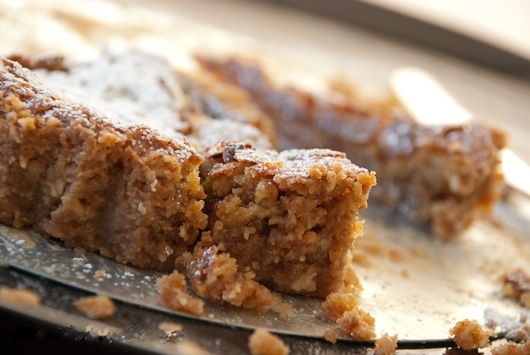 It’s not like any pie you’ve ever had before because that salty-sweet-crunchy-oaty crust is as much a part of the pie as the filling itself. 3. In the bowl of a stand mixer using the paddle attachment (or in a large bowl using an electric mixer) beat the butter, brown sugar and sugar until light and fluffy. 6. Spread the mixture onto a 9-inch-by-13-inch baking sheet and bake until golden brown and set, about 20 minutes. Remove from heat and cool to the touch on a rack. Crumble the cooled cookie to use in the crust. Combine the crumbled cookie, butter, brown sugar and salt in a food processor and pulse until evenly combined and blended (a little of the mixture clumped between your fingers should hold together). Divide the crust between 2 (10-inch) pie tins. Press the crust into each shell to form a thin, even layer along the bottom and sides of the tins. Set the prepared crusts aside while you prepare the filling. 5. Bake the pies, one at a time, for 15 minutes, then reduce the heat to 325 degrees and bake until the filling is slightly jiggly and golden brown (similar to a pecan pie), about 10 minutes. Remove the pies and cool on a rack. Refrigerate the cooled pies until well chilled (optional). The pies can be served warm or cold; the filling will be gooey. 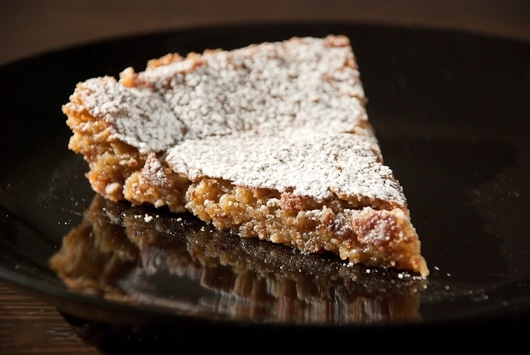 This entry was posted in Foodie Friday, Just Because, Recipes and tagged Crack Pie, Momofuku, Oatmeal. Bookmark the permalink. Do you spread the cookie out to fill the 9×13 sheet in the first part? How thick should it be? Inquiring minds want to know. I don’t know – I haven’t had a chance to make this yet….